The iconic blue courts of the Rod Laver Arena will host the first tennis Grand Slam tournament of the new year when the Australian Open kicks off on January 15th. 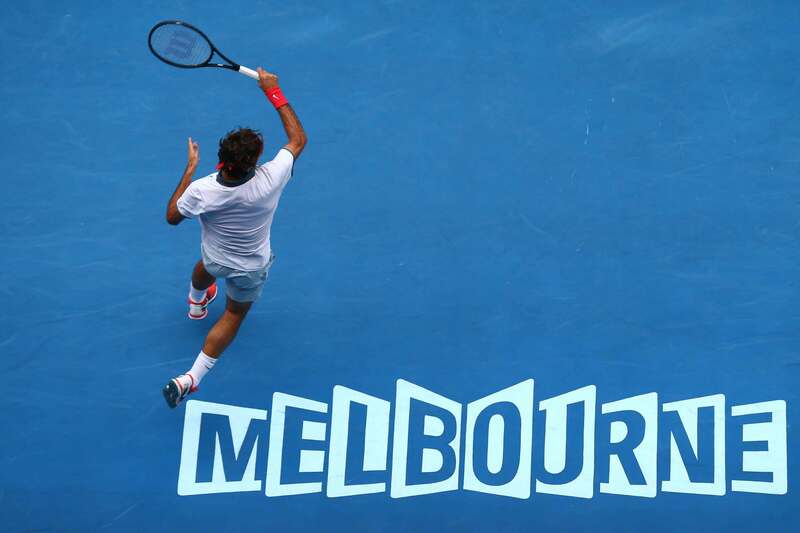 Over two weeks, the greatest players in the world will thrill spectators inside Melbourne Park, with returning champion Roger Federer defending his title and looking to take home the prize for an incredible sixth time. 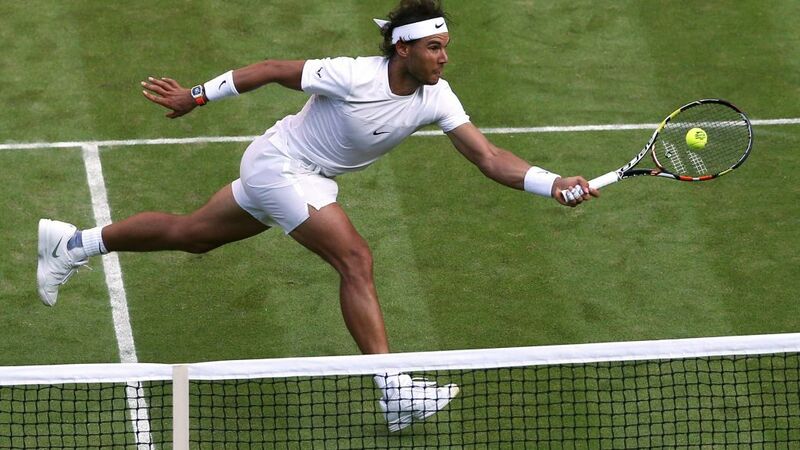 In his way are some of the sport’s biggest names, including arch rival and current world number one Rafael Nadal. Joining him, and eager to make up for lost time after an injury-hit 2017, are former top seeds Andy Murray and Novak Djokovic. Also back after an enforced leave of absence is reigning Australian Open women’s champion Serena Williams, playing in her first event following the arrival of her daughter Alexis Olympia. The seven times winner of the tournament, it will be an especially sweet return for Williams, considered one of the finest female athletes of all time, as she took home last year’s trophy while pregnant. She tweeted after the birth in September about the happy accident of her newborn sharing the same initials as the tournament she helped her win. The relationship between Rolex and the glamorous world of professional tennis goes back to 1978 when they became the official timekeeper of the Wimbledon Championships. They adopted the same role with the Australian Open in 2008 and recently signed on to continue until 2027. As associate sponsor, the brand’s products will be highly visible around the venues used during the tournament—the Rod Laver, Margaret Court and Hisense Arenas—as well as featuring heavily on the Open’s official website and TV stations. The players, too, will be taking on promotional duties for the Geneva-based watchmaking giant. Rolex ambassadors abound at the upper echelons of the sport, with Federer himself the most high profile. 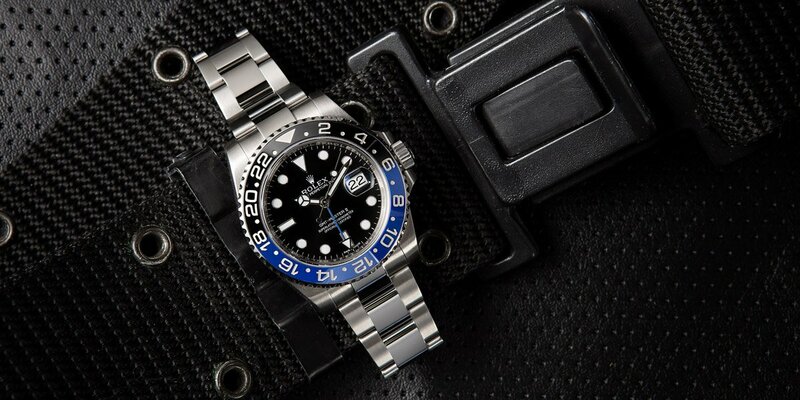 The GMT-Master Batman is typically on the wrist of Roger Federer. The two Swiss legends have formed a successful and lucrative partnership, with Basel-born Federer reportedly paid around $15m a year for his services. A fan of both new and vintage models, Federer wore a GMT-Master II BLNR when he hoisted the trophy aloft last year, the blue half of the Cerachrom bezel matching nicely with the hardcourt surfaces. Unlike chief adversary Nadal, who is contractually obliged to wear his Richard Mille piece while playing, Federer limits his Rolexes to off-court appearances and is most often seen sporting the flagship Day-Date in platinum with ice blue dial. However, he has been quoted as saying the most treasured example in his formidable collection is the Paul Newman Daytona ref. 6263 from 1981, the year he was born, gifted to him on his 30th birthday by his wife, former professional tennis player Mirka Vavrinec. Sophisticated, modest and graceful, Federer is the living embodiment of the ideals Rolex has always lived by. Lining up alongside the reigning champ are a further seven brand ambassadors, including the current number 15 seed Jo-Wilfried Tsonga, and the winner of the 2017 ATP Finals Grigor Dimitrov—a fan of the Explorer II off court. Dimitrov, the most successful Bulgarian player of all time, will be looking to improve on his semi-final appearance at last year’s tournament when he lost a close five-set match to Nadal. On the women’s tour, Olympic silver medalist and winner of both the Australian and US Opens in 2016 Angelique Kerber will be leading the resurgence of German tennis stars. The first player from the European nation to hold the number one seed since Steffi Graf in the eighties, Kerber has recently added Rolex to her list of sponsors, alongside the likes of Adidas and Porsche. Known for her aggressive, counterattacking play, she has shown tremendous strength and impeccable style to reach the very top of her sport, making her another ideal target for the manufacturer. The Classic Australian Open has been the scene of some of the most memorable tennis matches of the modern era. As the first tournament of the new season, it enjoys an atmosphere all its own, with Federer dubbing it the ‘Happy Slam’, as fans and players alike are always in high spirits. Whether he can capture his sixth trophy in Melbourne or has to relinquish the title to a rival old or young remains to be seen. But some great action is guaranteed, and the world’s leading watchmaker will be keeping it all on schedule.